On August 13, Canada Post unveiled the 100th Grey Cup Game commemorative stamp collection, illustrated by Canadian artist Ron Dollekamp. 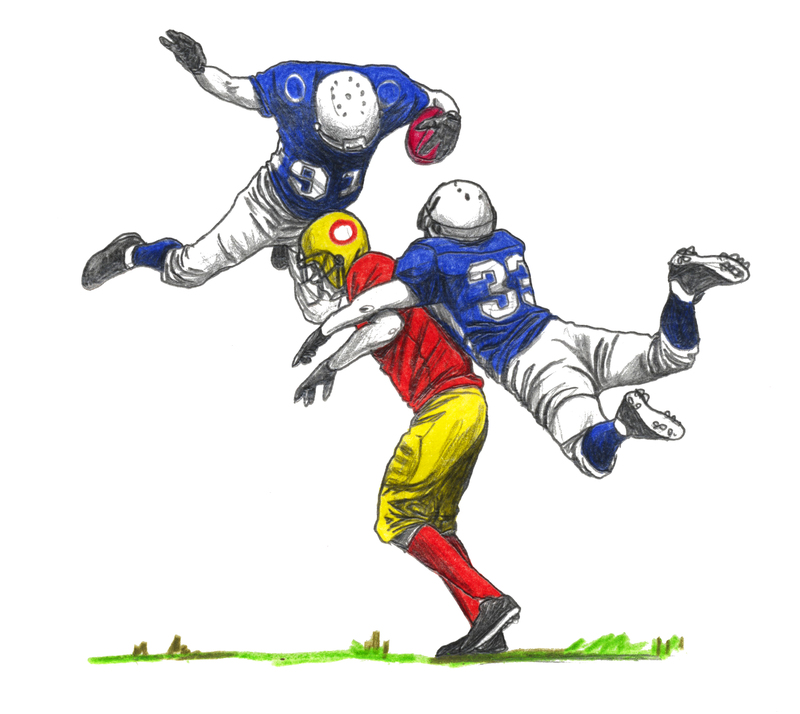 Each of the eight team stamps features one star player and one defining moment from each Canadian Football League team’s history at the Grey Cup. 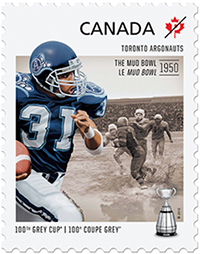 The Toronto Argonauts' commemorative stamp shows a picture of the famous "Mud Bowl" at Varsity Stadium in 1950. Readers may be interested to know that a former U of T football player, my father, is also on that stamp. Alexander E. "Ted" Toogood (BPHE 1948) played for the Blues from 1945 to 1948 and then for the Toronto Argonaut Club from 1950 to 1955. Thanks to intensive research by Mary Ormsby of the Toronto Star, the Toronto Argonaut Club and the Canadian Football Hall of Fame, they have recently confirmed with my family that the man carrying the ball who is about to be tackled, is indeed my father.